Andrew (Antranig) David Kzirian (born Newton, MA, Philadelphia origin, Los Angeles-based c. 1978) is an American musician of Armenian ancestry known for his mastery and innovative style of oud interpretation, the Middle Eastern stringed instrument. Kzirian is known particularly for both his fusion-based oud style, and the study of the oud’s history in Armenian music and culture. A member of a multi-generational Armenian-American family, Kzirian’s ancestral roots lie in Sepastia, Arabkir, Yozgat and Marash in historic Armenia. Kzirian embarked on his musical journey by beginning the study of classical guitar at the age of 9. He then picked up the oud at 19 while pursuing a degree in International Relations at the University of Pennsylvania – studying with Pharmacist and seasoned oud specialist Dr. Ara Der Martirossian. In contrast to many Armenian-American oud players, Kzirian was the first in his family to study and play the oud, although sharing musical interests with his younger brother James (percussion, violin, clarinet, vocals). Kzirian also transitioned to the oud after studying guitar – a fairly uncommon practice as many of his predecessors and peers were violinists. Over the course of several years, Kzirian personally studied with oud masters Ara Dinkjian and John Bilezikjian, kanun master Jack Chalikian, and maintains close relationships with the leading Armenian-American oud players of preceding generations such as John Berberian, Mal Barsamian, Mark Gavoor, and many others. In addition to the aforementioned players, George Mgrdichian, coincidentally from Kzirian’s hometown of Philadelphia, and Richard Hagopian were also important influences on Kzirian’s oud development, in addition to the aforementioned players. Kzirian first recorded oud music as a member of the Philadelphia-based Aravod Ensemble, a group of musicians dedicated to playing traditional and modern Armenian folk, classical and dance music for both musical appreciation and social occasions. With this as a strong base, Kzirian then expanded beyond this genre through the Los Angeles based History Series recordings with percussionist Barrett Yeretsian and pianist Greg Hosharian. These recordings featured the oud in both a classical and folk setting, and also included original compositions. These projects were done simultaneously to Kzirian’s experimentation with numerous rock projects as a guitarist and lyricist. After earning a law degree at Villanova University, Kzirian relocated to Los Angeles, California, where he joined the rock fusion project Viza, making significant contributions to the band’s sound, organization and growth. He also later earned a graduate degree in International Finance from Columbia University. While a student at Columbia, Kzirian heavily researched the oud academically in Armenian-American life under the direction of Professor Melissa Bilal, and organized and performed on campus with famed oud master Ara Dinkjian in a duet oud concert. Aside from Gomidas, Sayat Nova and other commonly known Armenian composers, this concert featured pieces composed by Armenian luminaries of the Ottoman period, such as Bimen Sen Der Ghazarian, Oudi Hrant Kenkulian and Kemani Tatyos Efendi Emkecyan, to help raise awareness of their musical works. Kzirian’s research and writing on the history and ethnomusicology of the oud at Columbia set out to document and preserve the significant cultural beginnings and evolution of the instrument in the Armenian American Diaspora setting of the Eastern United States. In furthering the works of these composers, Kzirian co-founded String Harmonies with accomplished artists, bassist Vik Momjian and violinist Yervand Kaladjian, focusing on reintroducing forgotten works while also pushing the boundaries of the oud’s experimental potential. 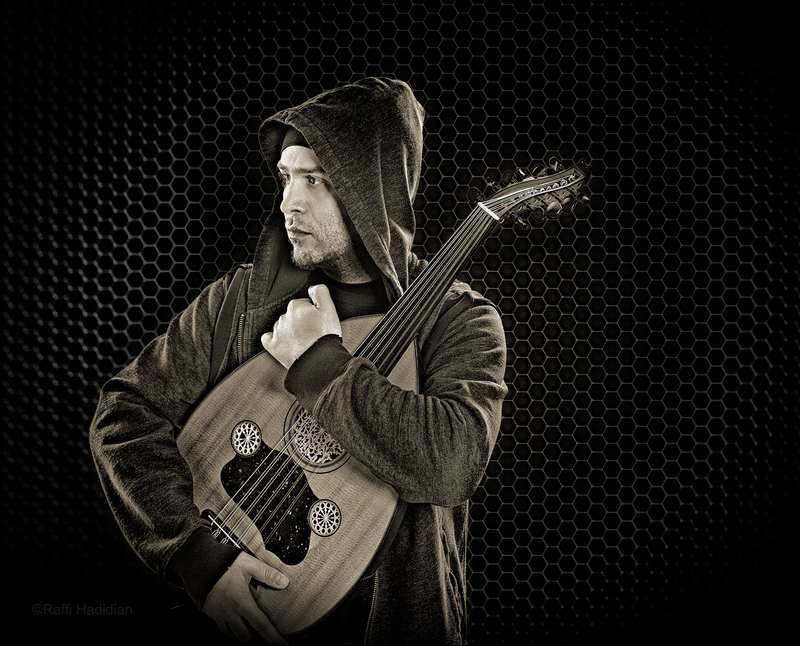 Kzirian’s most recent work relates to Viza, where he engages in significant experimentation and fusion incorporating the oud into modern rock and metal, positioning the oud in an unprecedented and aggressive fusion rock setting. Kzirian has been featured in numerous concerts, recordings, and soundtracks, and has toured the world with various acts including Grammy Award winning System of a Down lead singer Serj Tankian. Kzirian’s oud is featured on Tankian’s track “Ching Chime”, released on the record “Harakiri”. Kzirian’s performances and recording credits extend to works with CNN’s “Bourdain: Parts Unknown” culinary series, The Gaslamp Killer, duduk master Jivan Gasparyan, Jr., Capital Cities (co-founded by Sebu Simonian), solo artists Gor Mkhitarian, Sonya Varujan, hip-hop fusion standout Bei Ru, Vatsche Barsoumian and Artashes Kartalyan of the Lark Musical Society and several accomplished artists throughout the world. He has also showcased the oud at some of the largest festivals in the world, including Download, Sziget, Aftershock, and has performed on tour with Viza as support for gypsy punk rockers Gogol Bordello and reggae rockers Skindred. Future projects for Kzirian include collaborating with Gasparyan on a recording highlighting the oud and duduk as representing the union of two rich traditions of Armenian music, teaming with Maestro Hosharian to create oud-based music scored in an orchestral setting, a dedicated oud record showcasing the instrument, further compositions with String Harmonies and continued work with his project Viza. Kzirian has forged a new direction for the oud, blazing a new path which blends traditional styles and scales with modern technology and approaches to redefine and reinvent the instrument, while still staying true to the passion, mastery and focus of the rich Armenian oud tradition. He now lives in Los Angeles working in the finance and legal worlds, while focus his artistic pursuits on his various projects, teaching his growing number of oud students – all while maintaining an active performance schedule. Kzirian plans to release a full length recording of oud music featuring original and traditional compositions in November 2017. The recorded material will be accompanied by artwork designed by Simon Majarian, creating a vivid visual experience to accompany the audio of each recorded track.